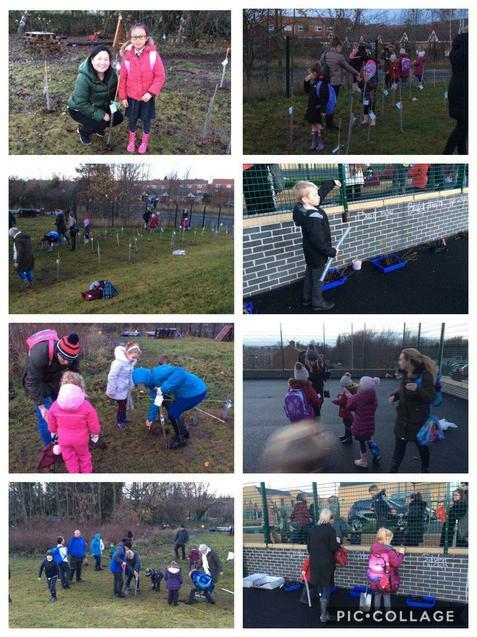 Thank you everyone who stayed behind to plant a tree with their child. 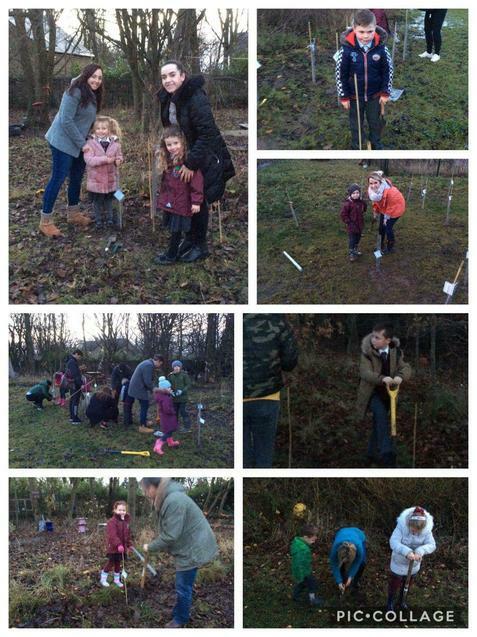 We planted over 180 trees, donated by the Woodlands Trust, in our grounds. 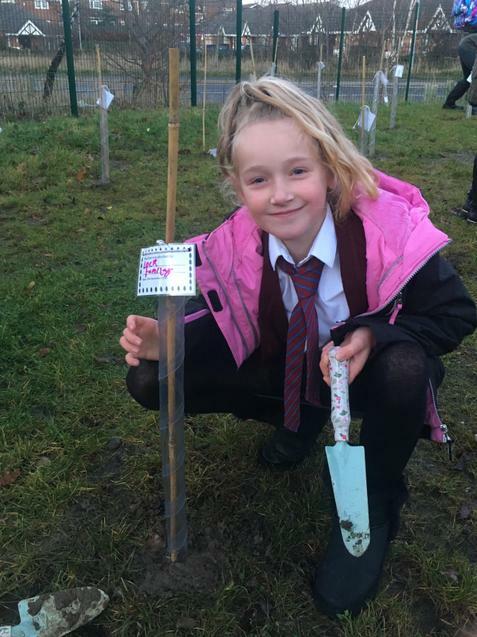 Each tree has a personal label to show who planted it. It will be lovely for the children to watch them grow. Everyone had a lovely time and enjoyed a delicious hot chocolate too!